Smart cities could become healthier cities as the Internet of Things learns to gauge conditions from the sky to the sewer. Fledgling IoT teams working above and below ground came out for the Re.Work Connect Summit conference in San Francisco on Thursday. Both say they can help cities understand and anticipate things that affect human health. With smaller devices and smarter analytics, they're improving upon the systems that have been testing urban conditions for years. The so-called "smart cities" trend has generated a lot of attention for things like automated traffic, parking management and better transit, but urban life also has an underside of health dangers. For the Senseable City Lab at MIT, that side is found literally underground. Its Underworlds project is analyzing sewage for signs of diseases and poor health. 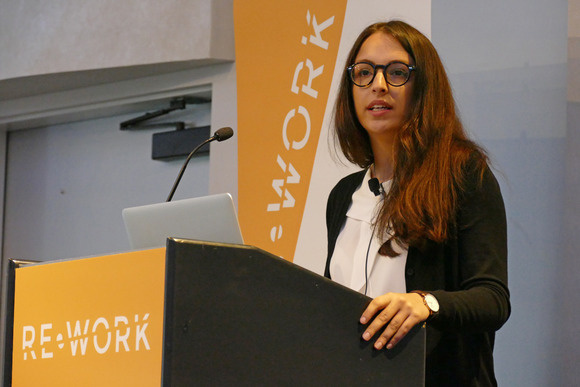 Newsha Ghaeli, a research fellow at MIT's Senseable City Lab, addressed the Re.Work Connect Summit conference in San Francisco on Nov. 12, 2015. "You can tell a lot about a person by sampling their gut. And as this data is flushed down the toilet, there's a vast reservoir of information on human health and behavior that goes with it," Project Manager Newsha Ghaeli said. It's not a new concept, but today most sewage testing happens at wastewater treatment plants, which are miles from the source and collect material from all over the city. The Underworlds project, like other IoT deployments, brings it down to the hyperlocal level. By studying sewage on a street or neighborhood level, the researchers hope to learn things like where outbreaks of disease begin and even detect pathogens before people start getting sick. Flu viruses and other bugs incubate in people's bodies before they cause symptoms. Testing can also uncover things like markers for diabetes and obesity, which are major public health issues in many U.S. cities. Tracking those factors could help in evaluating government policies, like New York City's recently passed law restricting the size of sugary drinks, Ghaeli said. MIT started its research in its hometown of Cambridge, Massachusetts, where it has carefully lowered iPhone-controlled robots into the city's antique sewers in about 10 locations. The robots collect the dirty water and run it through a filter to isolate the kinds of residue the researchers are interested in. After the robot has collected several samples, the scientists retrieve the filters and take them into a lab. The goal is to eventually build a near-real-time sewage information network with testing done by the robots in the field. The team is already on its second-generation robot, Luigi, a slimmed-down version of its bulky predecessor, Mar.io. Luigi is also cheaper to build and can sterilize itself after doing its work, saving the researchers a lot of work, Ghaeli said. MIT will build out its system across Cambridge over the next two years and then deploy a larger network in Kuwait, which is helping to fund the project. That works because the system can be tuned to local needs: For example, Kuwait is not interested in the flu, but it does want to know about norovirus, Ghaeli said. Smaller sensors and hyper-local data make a difference above ground, too. Aclima, a startup in San Francisco, sells hardware, software and services for testing air quality. Like the Underworlds team, it has downsized and localized the hardware needed to collect environmental data. In 2010, Aclima rolled out an indoor test network at Google with 500 devices across 21 buildings around the world. Each has 12 sensors for things like carbon dioxide concentrations, said Kim Hunter, managing director of communications and engagement. An Aclima indoor air-quality measurement module, upper right, can fit in an outstretched hand. Since then, Aclima has ventured outdoors. 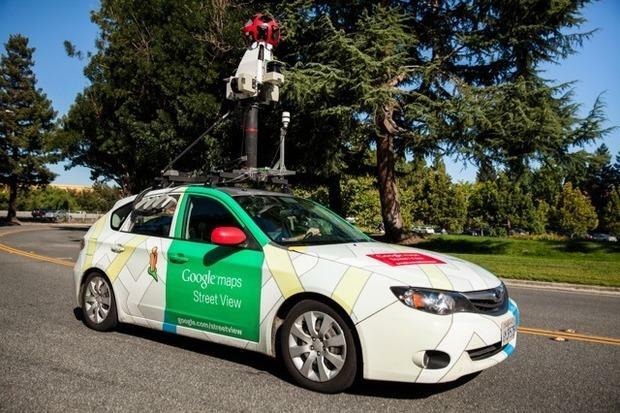 Now Aclima sensing devices are attached to Google Street View vehicles in Denver as part of a pilot project. As the cars are driven around to take photos, they also collect information on substances like ozone, carbon monoxide, methane and particulate matter. This generates highly localized information from many sites. Aclima is also working with the Environmental Protection Agency and has commercial deployments of its indoor and outdoor equipment. Aclima's sensors fit into devices that are much smaller than traditional air-quality gear. A typical stationary monitoring site is as big as a trailer and houses reference equipment that's two feet (60 centimeters) wide and as much as nine feet tall, Hunter said. Aclima's indoor sensor modules can fit in an outstretched hand, and its mobile platform fits in the back of a small hatchback car.